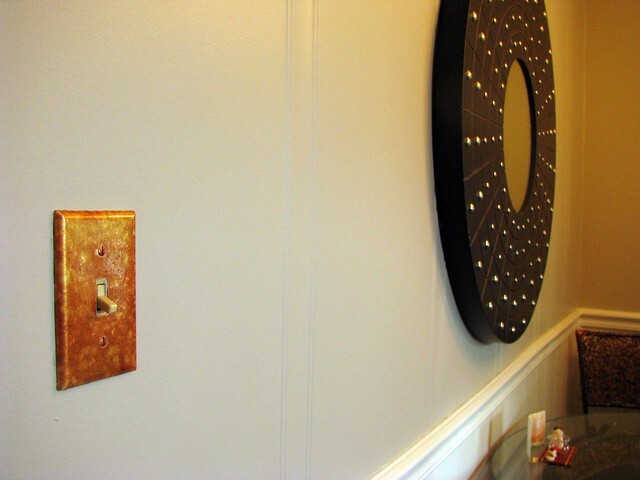 Working on painting our kitchen and family room, I’ve realized one extra job that needs to be done: painting the light switch covers and outlets that I’d previously painted gold and copper. Silver would look so much better with the new Sharkey Gray, don’t you think? I just smooshed on some silver glass paint (less than $4 a jar) and gave it a protective coat of varnish (less than $3 for a small bottle). The result, especially over the previous colors, looks a bit like hammered silver. Those little bottles should be more than enough to do all the switch plates in the house. So much cheaper than buying all new! 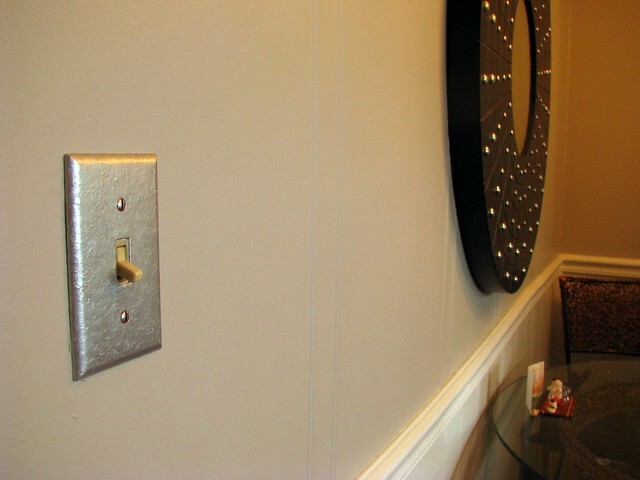 Back to slowly working my way around the room as I paint walls, trim and now switch plates and outlet covers. 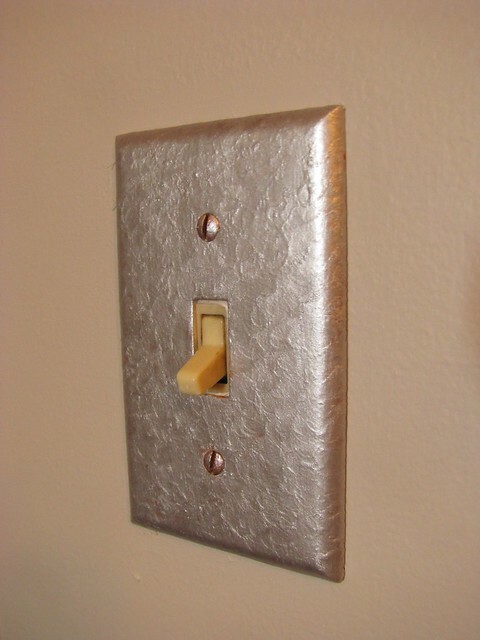 I just love the light switches. You did a marvelous job.